that are slow to heal. 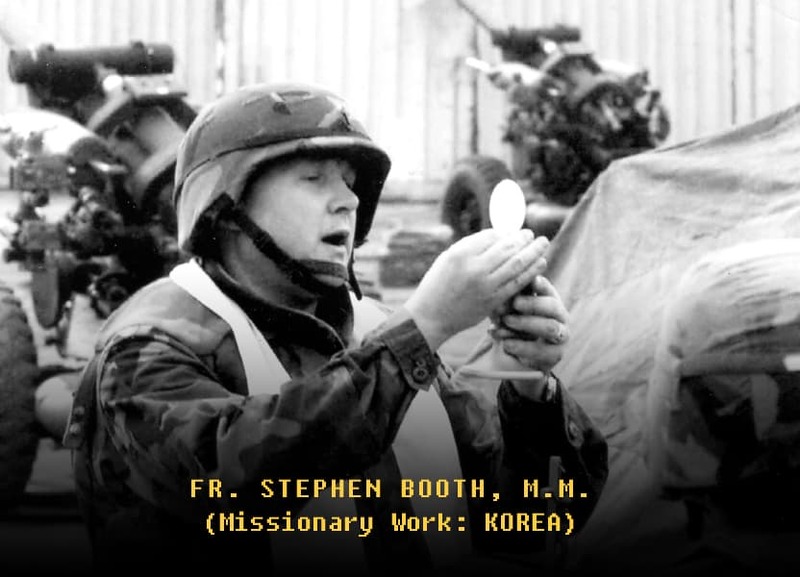 At Maryknoll Fathers and Brothers, we remember our Missioners who have served our great nation, continue to serve in mission or died while doing so. 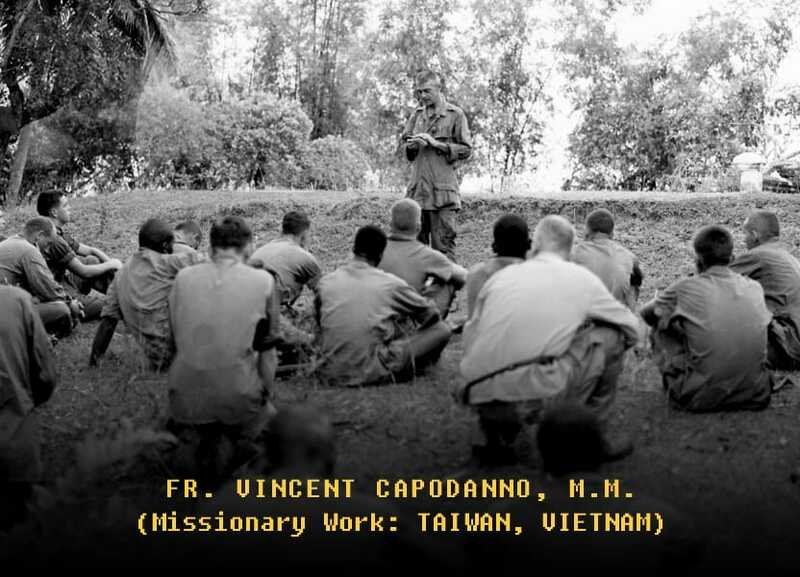 One of our missioners who has served in the military is Father Vincent R. Capodanno, M.M. Father Capodanno was born on February 13, 1929 on Staten Island, New York. He entered Maryknoll in 1949 and was ordained in 1958. His first mission assignment was in Miaoli, Formosa (now Taiwan). 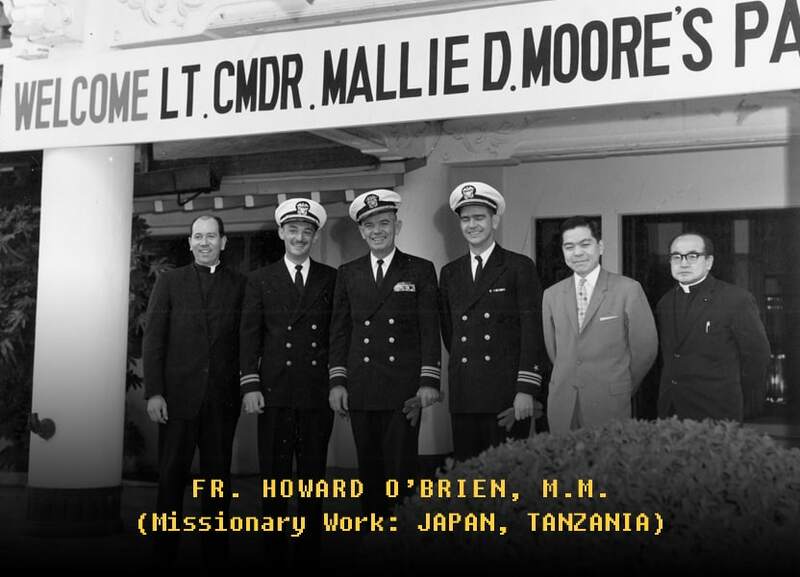 In August 1965, Father Capodanno asked to be reassigned from mission in Formosa to serve as a U.S. Navy chaplain. He volunteered immediately for duty in Vietnam and served with a unit of the U.S. Marines. 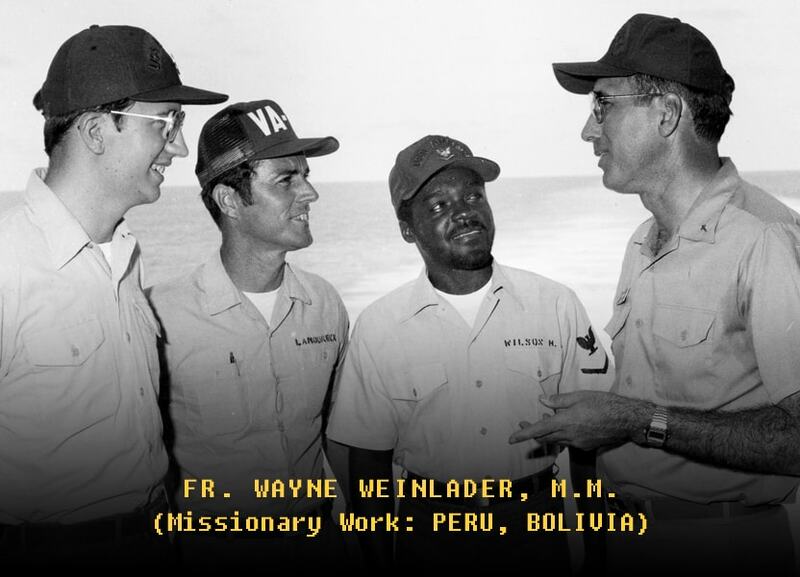 Chaplains of the U.S. Navy oversee religious ministry in the Marine Corps. 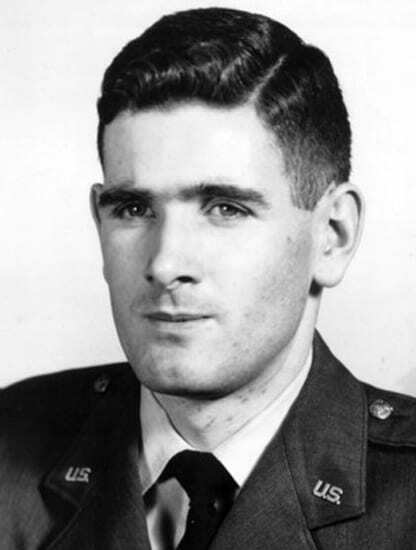 Father Capodanno was killed in action during an ambush while in the battle of Operation Swift on September 4, 1967. 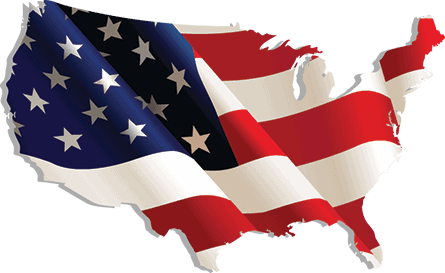 In a devastating twist of fate, he had been due to return to the U.S. that October. Father Capodanno is the only chaplain to receive the Medal of Honor for service with the Marine Corps. Although he never donned a weapon of war except those in the spiritual realm, he served his country as a solider of faith and hope on the battlefield. Romeo is a WWII veteran who served in the Pacific Theater with the US Navy. To this day he thanks God for allowing him to survive, and for the many years of happy marriage he enjoyed with his dear wife Betty. They shared everything together including Romeo’s love for writing poetry, Betty’s joy in helping others in need, and a strong religious faith. 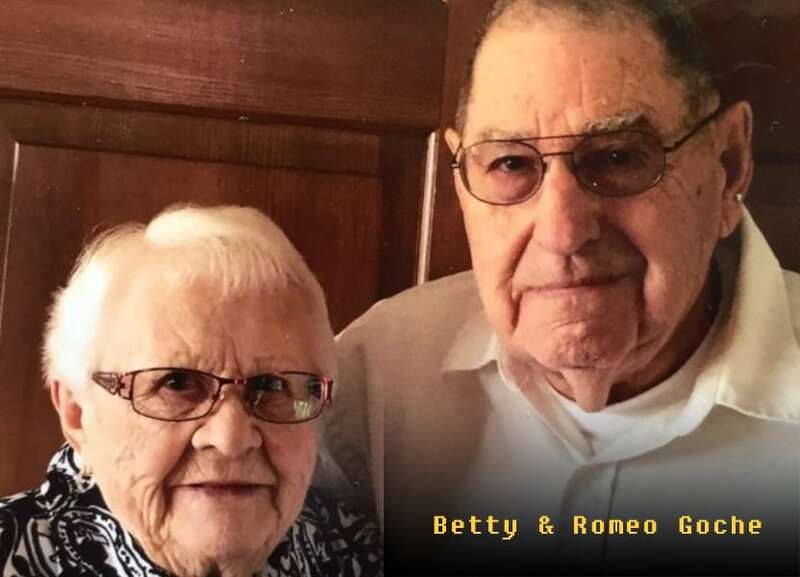 While making retirement plans, Romeo and Betty established charitable gift annuities with the Maryknoll Fathers and Brothers, because they wanted to help God’s poor while ensuring steady income in their later years. Betty died soon after their 72nd wedding anniversary, and Romeo now lives with his godson and family on a farm in Minnesota. His annuity payments give him peace of mind, as well as the solace of knowing that Betty’s kind, generous spirit lives on in the good works of Maryknoll Fathers and Brothers around the world. Following ordination, Father Edward Manning was assigned to the Maryknoll mission in Fushun, Manchuria. 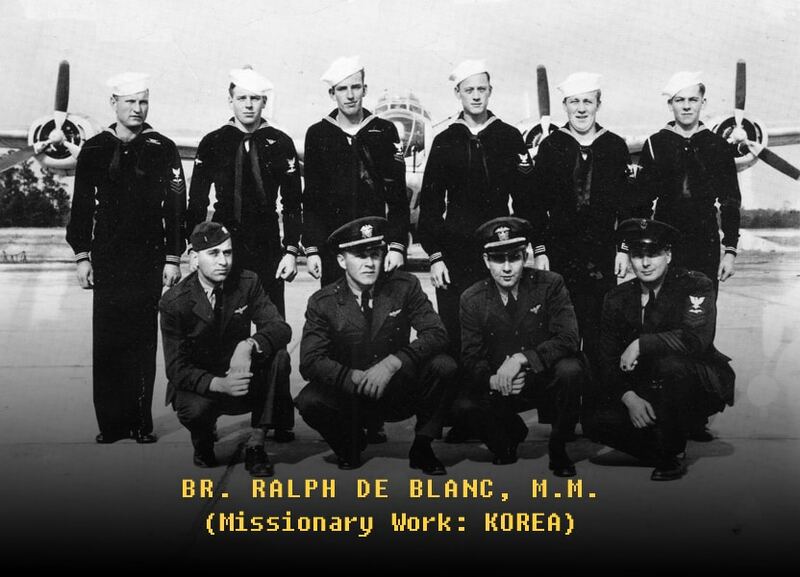 After the 1941 Japanese bombing of Pearl Harbor, he was interned there as an enemy alien. In mid-1942, Father Manning enlisted in the Chaplain Corps and was assigned to the B-17 Bomber facility at Smoky Hill Army Air Corps Base in Salina, Kansas, where he served as a Base Chaplain. He served in the same capacity at other bases in the U.S. until the end of the War and his discharge in March 1946. Father Manning died August 11, 2000. 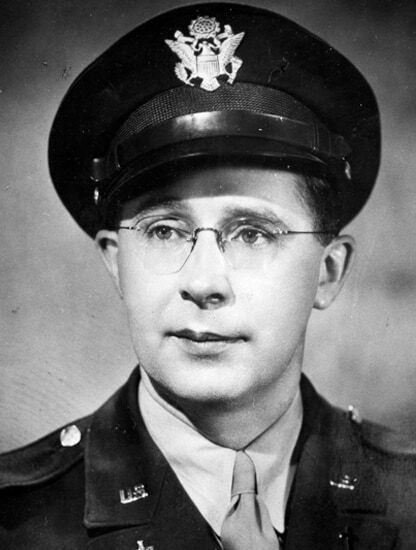 Father Andrew Cassidy entered the Armed Forces after attending St. John’s University and Yale. He served in the Army during World War II in the Battle of the Bulge and the Rhine campaign across central Europe for three years. In 1946, he entered the Venard (Seminary) and was ordained in 1954. After ordination, Father Cassidy was assigned to Yucatan and worked for a number of years among the Mayan Indians. After a short stop back in the States, he returned to the Mexican Region in 1965. He served as Regional Superior for two terms beginning in 1972. Father Cassidy died on June 30, 1981. 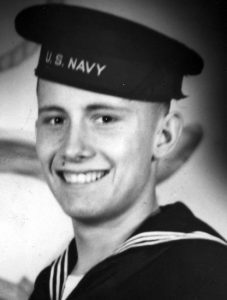 Brother Marvin Mayberger joined the U.S. Navy after high school. He served in World War II and was later honorably discharged. He joined Maryknoll in 1956 as a Postulant Brother, took his First Oath in 1957 and took the name of Brother Isidore. He took his Final Oath on June 11, 1960 and in 1961 was assigned to the Maryknoll Mission Region in Chile where he worked at the Maryknoll Agriculture School in Molina. Brother Isidore died on January 9, 2002. 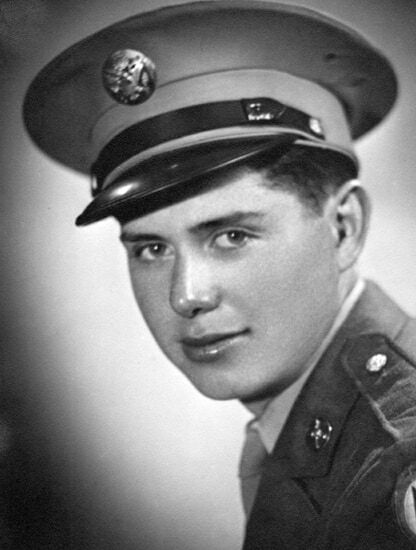 At the age of 18, Father Joseph LaMar enlisted in the Air Force, where he served as a navigator flying SAC bombers in Cold War missions for four years and later as a pilot flying MAC transports around the world. From 1960 to 1970 he flew in Vietnam. He retired from the Air Force in 1973 after 20 years of service, receiving an Air Medal with six oak leaf clusters for meritorious achievement while participating in aerial flight, an Outstanding Unit Award in the 91st Strategic Reconnaissance Wing and the Meritorious Service Medal for his work at Command Headquarters. He received a Bachelor of Arts in Philosophy and Psychology in 1977 from the Southern Illinois University at Edwardsville. After his half-brother John was ordained at Maryknoll in 1966, Joseph’s desire to become a Priest increased. At the age of 43, Joseph became a novice. In 1983 Joseph was ordained a Maryknoll priest. He was assigned to the Maryknoll Mission Region in Poptun, El Petén, Guatemala in 1981 and remained until 1992, when he was assigned to the U.S. Region. He is currently a member of the Senior Missioner Community but continues his work in the U.S. Region as the Assistant Chief Financial Officer in Corporate Social Responsibility. The Maryknoll Fathers and Brothers witness the Gospel in more than 20 countries around the world, caring for the poor and marginalized.